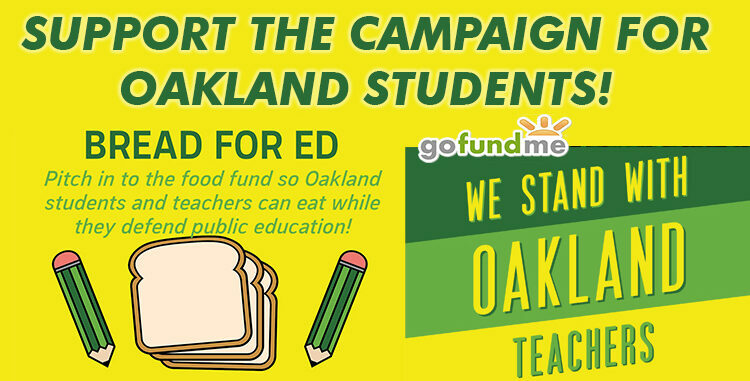 Support Oakland Teachers and Students – GoFundMe, Bread For Ed, and T-Shirts! 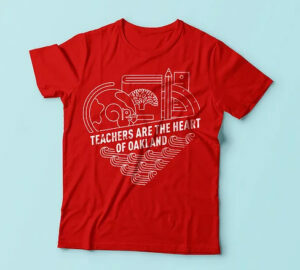 Two years of fruitless negotiations have brought Oakland teachers to a boiling point. We’re willing to sacrifice our pay during a strike to win the schools our students deserve! We lost 571 teachers last year. Students are suffering when 20, 30 and even 40 percent of their school’s teachers leave each year. We’re bargaining to end the Teacher Retention Crisis: smaller class sizes, more student supports and a living wage. 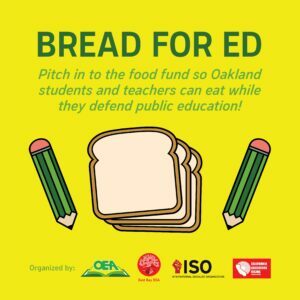 Donate to BREAD FOR ED! 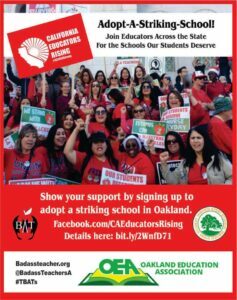 Stand in solidarity with Oakland students and teachers!